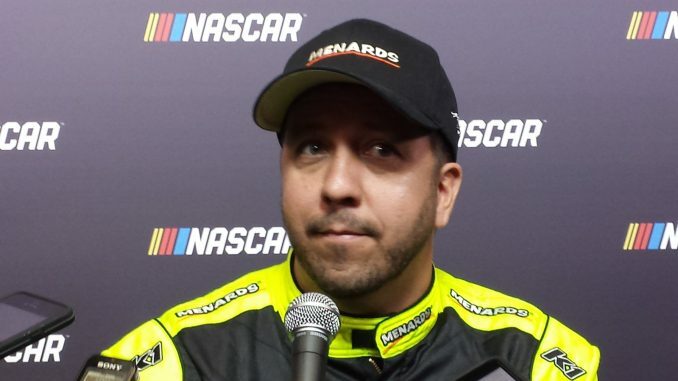 CHARLOTTE, N.C. – In his early days in NASCAR racing, Matt Crafton was a Ford driver. In 2000, Crafton won two races and the NASCAR Southwest Series championship driving the No. 46 Ford, the same make and car number his father, Danny Crafton, used in the series. When he transitioned to the NASCAR Camping World Truck Series a year later, however, Matt Crafton found himself behind the wheel of Duke Thorson’s No. 88 Chevrolet—and he lost a fan. In 2012, ThorSport Racing switched to Toyota, and Crafton followed with back-to-back championship seasons in 2013 and 2014. But to this day, he has never driven a Ford in Truck Series competition—until this year. Crafton found out last week that ThorSport had struck a deal with Ford Performance to run F150s in the series this year. “So now I’ve got a new fan in my dad,” Crafton quipped.